As the world changes and the focus becomes more on being environmentally conscience, South Bay Ford Commercial is proud to work alongside industry leaders in alternative fuel and conversions to provide our clients with an incentivized, cost-effective solution. As the largest Ford commercial dealer, serving Manhattan Beach for 20 years and running, we offer an entire fleet of high performing advanced fuel Ford trucks that can make even what seems impossible possible for the future. For many businesses, operating a fleet is the single largest contributor to their carbon footprint and the same may be said for your business. When a business decides to reduce its carbon output, the fleet managers need to know how to identify which alternative process can make the biggest difference and that is what your leading Hawthorne, CA Commercial Ford dealer is here to help you do. Most of the world's oil reserves are concentrated in the Middle East. Since most advanced fuels are available in the U.S. from U.S. sources, switching to advanced fuels will limit how much money is transferred offshore to support our domestic energy demands. Can you imagine how often your business’s phone will be ringing once your customers are aware that you are assisting with less dependence on foreign oil? As a Ford Smart Mobility dealer, South Bay Ford uses innovative thinking and advanced technology to solve tomorrow’s biggest transportation challenges today. Along with helping you identify and accomplish your business fleet’s green objectives our specialized parts and service team also has the skills and parts to modify gas engines to energy alternative sources. Along with limiting how much money is transferred offshore, to support our domestic energy demands, allowing South Bay Ford to assist your Ford fleet in the alternative fuel switch will also help your business save money in the long run. Despite the upfront costs associated with becoming more environmentally friendly, these expenses are quickly offset by lower fuel prices over time. If your Fleet is built by the world’s best-selling Ford truck, you are also in luck. 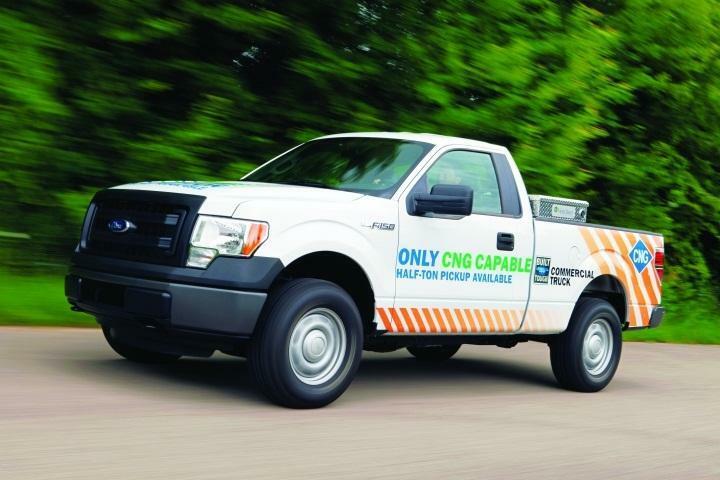 The Alliance Autogas industry has even made it possible to convert the engine in these trucks to Propane gas technology, which is becoming the most popular alternative fuel worldwide. While dramatically reducing tailpipe emissions, this system also provides performance that fleets can depend on in extreme weather conditions with no cold start issues, nor hot weather complications. Through a full spectrum of complete customer support, South Bay Ford Commercial is here to help you identify and accomplish your business fleet’s green objectives. This is attained through a series of rigorous guidelines that meet Federal and Ford Motor Company requirements. Since each commercial application is truly unique, as a Commercial Vehicle Center, dealer we work closely with our upfitting partners in an effort to reach the greatest outcome for your enterprise.